Even seen a taxi in front of you while you're sitting in a car or driving with this banner? Or pass by the red colour taxi ...? 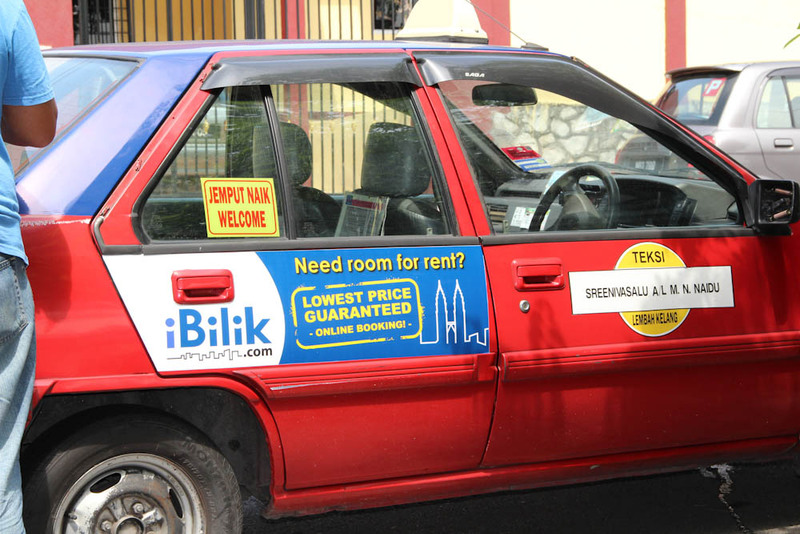 Looking around in the KL street, and we might notice some of the taxi carrying the banner of 'iBilik'. The name pattern does remind me a bit of Apple product, iPhone etc. compare to it old name 'CariBilik' Still it's a much sophisticated name. 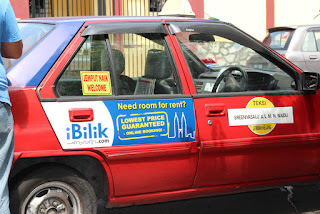 CariBilik (which means 'Find Room' in Malaysia language) was its former name, which I previously written about it. Moreover, I also get an email newsletter to inform me about the changes and renovation of the website. Actually, the taxi campaign is quite helpful to people like me, who stays in a city and not a local. I believe it really easy a lot people in finding an ideal room to stay. I recall that last time when I first moved to this city, I search for room in the 'old traditional' method. Searching from house to house, look for the sign board, ('Room to let') and walk into the house to ask for information, and travelling around the area to find phone number. In fact, the concept of 'iBilik' makes the traditional way more 'trendy' and . it served like a simplified resourceful and informative directory that we can get as long as with internet access. 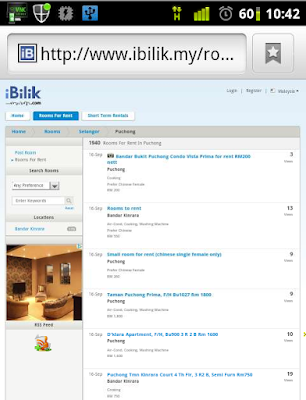 The design of the iBilik website has got even better and neat compare to its previous look. Have a look for the view in my smartphone. Though it doesn't come with a mobile template for the website, its current look and feel fits well on the smartphone browser, and generally, I like the simplicity of the theme which load fast and just fulfill the purpose of browsing the room for rent classified directory. In my opinion , the website adopt a very simple design and harmony colour is a pleasurable for surfing. The font sizing are at the comfortable reading level. Therefore, it should be suitable for majority of the reader. Judge from the functionality wise, it serves the purpose of finding room well, and keep each of the classified ads informative. The categories on top, divides the classifieds into the usual 'Rooms for Rent' (for a long term) and the 'Short Term Rentals'. Searching function is quite standard provides a useful sorting by 'most booked' and the 'cheapest rental'. In short , you won't really get lost in surfing the web for finding a room to rent in this comprehensive user interface. However, I would hope the website comes with language translations. Though it may not be a very thorough translation for all the room information and positing, perhaps, language translation for the menu, buttons. Perhaps with language translation it looks much 'user-friendliness' to some people?